Stephen W. Terrell's (MUSIC) Web Log: TERRELL'S TUNE-UP: OH DONNA! Donna Jean & the Tricksters is a decent but not a great album. It won’t be on anyone’s top 10 at the end of the year — except maybe Relix magazine’s. To be honest, I probably won’t play it all that much on my radio shows. It’s above-average Grateful Dead-influenced jam-band fare with a hearty blues edge. But I’m glad this record is around — it’s like getting a handwritten letter from an old friend. It’s good to hear from Donna Jean Godchaux-MacKay, whose voice graced the albums of the Grateful Dead for most of the 1970s. Ever since she and her late husband, keyboardist Keith Godchaux, were asked to leave the Dead in 1979, Donna Jean basically has been missing in action. She’s done an occasional solo record, and every now and then you hear about her singing a couple of songs at a show with Bob Weir’s Ratdog or some other Dead offshoot. But largely she’s unjustly been forgotten, except by scholarly Deadheads — or by fans with long memories. Donna Jean was a striking figure when she was in the band. She was the hippie earth-mama goddess surrounded by a bunch of hairy weirded beardos. She looked sweet with her flowing brown locks, and she provided the band with a little female energy. But she was a belter — not as over-the-top as Janis Joplin or as searing as Grace Slick, but she infused the cosmic California sound of the Grateful Dead with some down-to-earth Southern soul. Had she never even been with the Dead, Donna Jean still would have a respectable musical résumé. She’s an Alabama girl who cut her musical teeth as a teenager at Muscle Shoals studios. Singing with a female group called Southern Comfort, Donna Jean provided background vocals on some true American classics — including “When a Man Loves a Woman” by Percy Sledge and “Suspicious Minds” by Elvis Presley. The story of how the Godchaux couple got to be in the Grateful Dead is a testament to Donna Jean’s audacity — as well to the less-formal, human-scale nature of rock in the pre-corporate days. In a 1998 radio interview in Philadelphia, Donna Jean told Dead chronicler David Gans how she and Keith approached the group about joining — neither of them knew anyone in the Dead. (She had moved from Muscle Shoals, Alabama, to the Bay area, where she hooked up with Keith.) 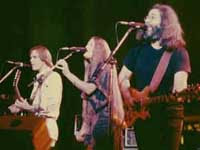 They made their move at a Jerry Garcia/Merle Saunders concert at the Keystone Korner club in San Francisco. Actually Donna Jean made the move. She approached Garcia during a break. “I said, ‘My husband and I have something we need to talk to you about,’” she told Gans. “Jerry said, ‘OK, well, come on backstage.’ And Keith and I were too scared. We didn’t know what to do, and we didn’t go backstage. This is when they took a break. The couple didn’t know it then, but the Dead’s original keyboardist, Ron “Pigpen” McKernan, was dying, and the band was auditioning replacements. In a matter of days, Keith Godchaux was in the band. Donna Jean didn’t officially join until later. But her voice started popping up on Dead albums like Europe ’72 and on side projects like Weir’s first solo album, Ace. This was an incredibly fertile and creative period for the Dead. Two of my favorite Dead albums — From the Mars Hotel and Blues for Allah — came out of the “Keith and Donna” era. 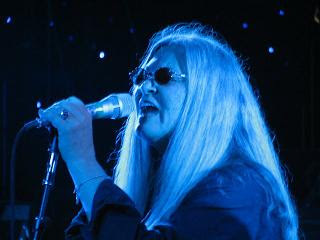 Donna Jean’s contribution was mainly her background vocals, especially on the studio albums. But if you think it was an all-American hippie fairy tale to walk up to Jerry Garcia in a nightclub one day and become a member of the Grateful Dead by the end of the week, think again. As the Me Decade drew to a close, the dream was becoming a nightmare. In his 2002 book, A Long Strange Trip: The Inside History of the Grateful Dead, former Dead publicist Dennis McNally describes the end of the Godchaux era. Keith was basically was a junkie. Donna Jean, as she admitted to McNally, was a raging alcoholic. It sounds as if she was second only to Keith Moon as a destroyer of hotel rooms, and she once even put her husband’s arm in a sling. Finally, in 1979, it came to an end. The couple was asked to leave the Dead, but according to Donna Jean, she and Keith had decided to leave before that. Within a year, Keith would be killed in a car wreck. Donna Jean would find religion, remarry (to David MacKay, formerly of the San Francisco band the Tazmanian Devils), and drift so far out of the limelight that some younger Deadheads barely know who she is. Now, nearly 30 years after leaving the Dead, Donna Jean’s brown hair has turned to silver. Her voice has mellowed; it’s more restrained than in the old days. She sings lead on just a handful of songs on the new album. The best of these is a gospelish workout called “No Better Way,” with overtones of Eat a Peach-era Allman Brothers. But, like her work with the Dead, Elvis, and Percy Sledge, her background vocals are a delight, her work on the upbeat country-rocker “A Prisoner Says His Piece,” being a standout. Audio appearances can be deceiving, but she sounds happy. All I know is that it’s good to hear from Donna Jean.